What A Few Weeks It’s Been! For those of you who may have been wondering, allow me to assure you that the rumours (should there be any) of my technological death have been greatly exaggerated. I am not dead, just very busy. Unfortunately for this little blog, it has been a busyness away from the keyboard. Not that my family minds seeing my face now and then, but that does make it hard to blog. So buckle up- it’s going to be a bit of a long ride! 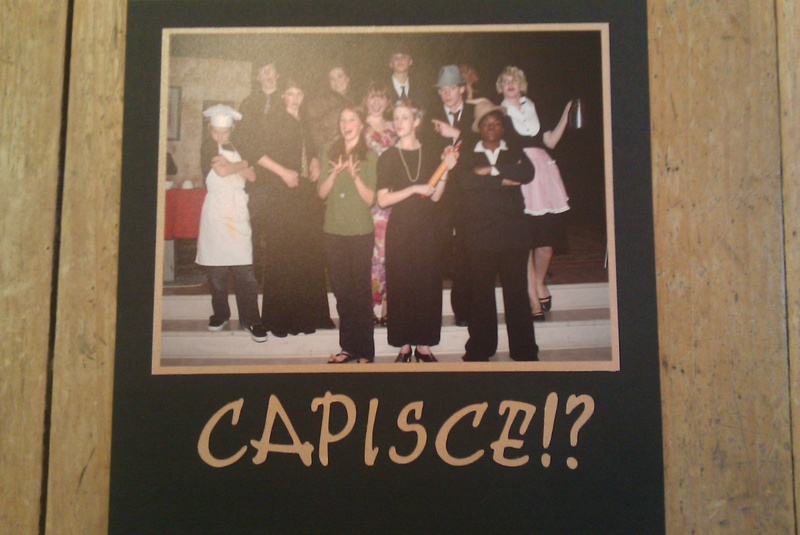 Friday, 21 May 2010 Taught my last British literature session of the school year. We discussed The Strange Case of Dr. Jekyll and Mr. Hyde, Murder on the Orient Express, and Elizabeth Barret Browning. There is nothing as heartwarming as seeing the look on someone’s face the first time they read the ending of Orient. I won’t give it away here, but if you’ve read it (or seen the epic movie) then you know what I mean! Saturday, 22 May 2010 Spent the day helping my mum, her office friend, and the friend’s daughter work on small scrapbooks for the two drama teachers. I didn’t intend on spending the whole day with them, but they were so much fun I couldn’t tear myself away. They came up with some cute pages too! Monday, 24 May 2010 I learned about my favourite website, LibraryThing, because of the university bookclub. The thing is, I’ve far surpassed the other members in cataloging and participating with the site. So, the library dean asked if I’d give a short informative lecture to the library staff as part of a training series. I was a little rough, but it was the first time I’ve used a huge PowerPoint screen. All in all, it was fun. Tuesday, 25 May 2010 My English club met with all the officers in the nearby downtown. Our faculty advisor hosted the meeting at her sweet little house. Afterwards, one of the officers and I went to lunch. Best. Chicken. Pita. Ever. 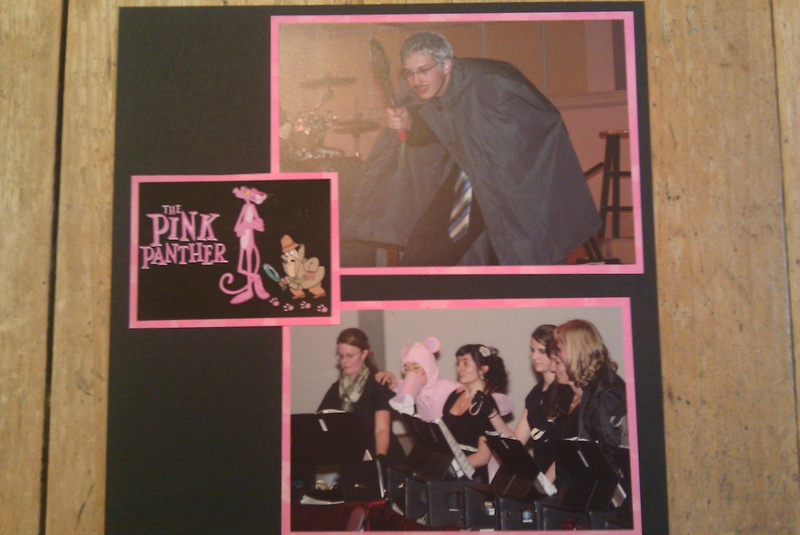 This was also the night of my little brother’s final concert of the year. Due to a marvelous coworker who was willing to swap shifts with me, I was able to attend. The concert was a little long (spell that veeeerrrrrryyyyyyy long), but well worth it. Besides, my friend is home from her job eight hours away and we had a chance to catch up! Oh yes, and it was Towel Day! Do you know where your towel is? Thursday, 27 May 2010 Aforementioned club officer and I met up so she could film a short promo for our club. She did an awesome job- I’ll post the link when it’s up on the website. Then, work. See, here’s the thing about Thursday. There’s a quote from The Hitchhiker’s Guide to the Galaxy that goes “It must be Thursday. I never could get the hang of Thursday.” This about sums up my day. I woke up super late, couldn’t find the people I needed to see, was scheduled to work 2 hours sooner than I thought, and so the day goes. It was a full moon…full moon. Brings out the crazies- and messes up your day. Anyhoo…. Friday, 28 May 2010 Work again! Also, graduation day for the homeschool program my family is involved with. I helped out with the reception, which was a crazy, crazy ride. Long night, but I was really proud of all the kids who graduated. 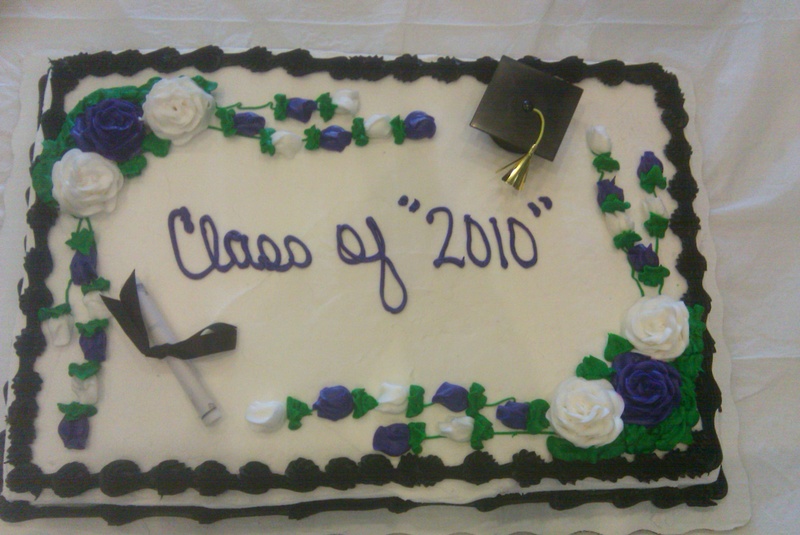 Although, I’m not sure exactly when the cake decorator expected us to hold our graduation. Maybe they were so swamped with orders that they were hopeful that our order wasn’t to be filled until next year? It was a great class; they really banded together well and defined “camaraderie.” Moving on! 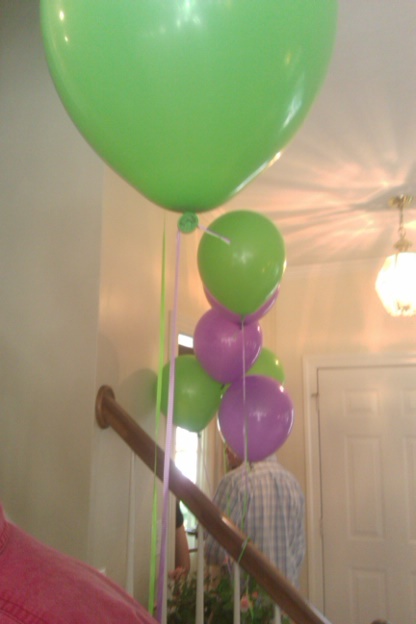 Saturday, 29 May 2010 Graduation party for one of my students, and her colours were “Wicked” themed! The party was really fun; I hated to have to leave early, but work beckoned. Sunday, 30 May 2010 Went to church, went to lunch, cleaned my room. Okay, not a hugely busy day, but still…. Monday, 31 May 2010 Memorial Day! Had a nice time hanging out with my family at my best friend’s house. 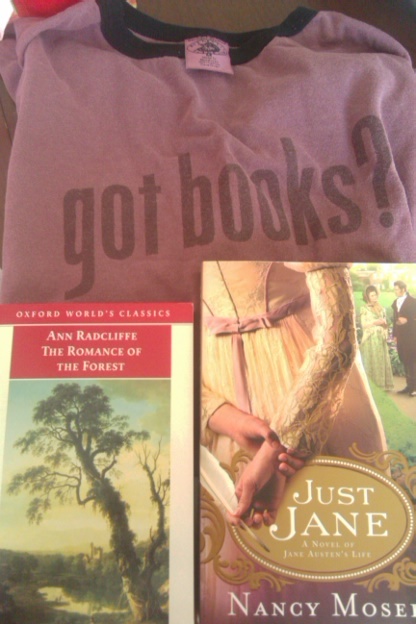 She gave me my birthday gift tonight; The Romance of the Forest, Just Jane (about Jane Austen), and a purple “got books?” t-shirt. Does she know me or what? That brings us the long, boring way to today. I simply hope that this convinces you, dear readers, that I’m not abandoning you! Life is crazy, but should setting down now that it’s June [insert maniacal laughter here]. I’ll be back with a more dignified and interesting blog post soon!